Sometimes when I have a lot of writing to do (which means a lot of eating), I like to say that I am eating my way through Ventura County. Well, yesterday I expanded my horizons and attempted to eat my way through a small part of Los Angeles County, by way of one of the delicious food tours run by Tourific Escapes. And sure enough, it was the most fun I've had in a really long time - a perfect adventure for someone likes me who likes to experience a city, a culture, a neighborhood through its food. 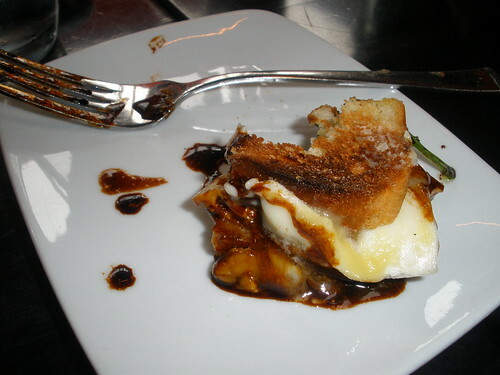 When asked about my personal favorites of the day, I'd have to say the Kaya Toast at Susan Feniger's Street stands out the most. Picture a buttery grilled cheese sandwich, but instead of being filled with cheese, this one is filled with coconut jam. It comes with a dish filled with soy sauce, arugula, and a fried egg. 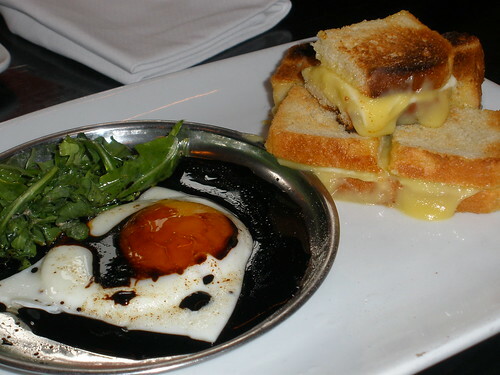 Our guide suggested cutting the egg and breaking the egg yolk, and as it mixed with the soy sauce we spooned pieces of egg, arugula, and sauce into our little sandwich squares. The end result: a salty, sweet, buttery crunchy sandwich infused with the rich egg yolk, salty soy, and peppery arugula. The play of textures and flavors was so much fun I could hardly stand it. We were told that this is the last dish Susan Feniger made on Top Chef (unfortunately it precipitated her leaving the show), but now it has become the top seller at her street food inspired restaurant. Definitely a winner in my mind and probably one of the best things I've eaten this year. Another favorite stop of the day was Mashti Malone's off of Sunset Boulevard. Where Street is high end with a little bit of glitz and polish, Mashti Malone's has the feel of your favorite hole in the wall spot to grab a treat. The owners hail from Iran, where they get their inspiration for exotic flavors like ginger rosewater, saffron, green tea, and coconut pineapple ice cream. They also offer more traditional flavors like a decadent peanut butter cup and cookies n' cream if that's what you're in the mood for. We sampled flavor after flavor and then selected a cup of our favorite. It was a tough decision, but I went for the lavender ice cream. 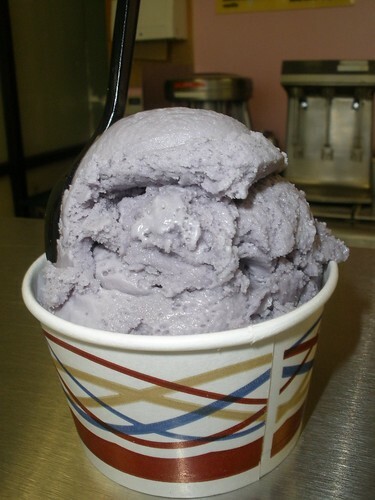 I mean, really, how often do you get to eat a cup of lavender ice cream? Sweet and purple, with each bite I was transported to my garden. It felt as if I was eating flowers, my favorite perfume, and decadent sweet cream all rolled into one. After a total of six stops around Hollywood and more food sampling than I've ever done in a single day, we left L.A. sporting full tummies and big, happy grins on our faces. What a great way to see and experience Hollywood. Next on my list of food tours? The Santa Monica Sights and Bites Tour. You just made me so envious with this post. What unique, delicious creations. Jealous!